The capital city of the state of Rajasthan, Jaipur ranks among the popular tourist destinations in the country. Jaipur is popularly known as the Pink City. It was established in the early 18th century by Maharaja Jai Singh II. Visit the various points of interests in the city and get a feel of the cultural heritage and tradition of the place. The capital city of the state of Rajasthan, Jaipur ranks among the popular tourist destinations in the country. Popularly known as the Pink City, Jaipur is known for its rich tradition, culture and historical significance. Besides, the city is also known for a well developed handicrafts industry. Jaipur in Rajasthan was established in the early 18th century by Maharaja Jai Singh II. It became the new capital of the Kachwaha dynasty. The Kachwaha rulers enjoyed patronage during the British Raj. 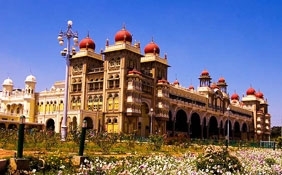 The city remained a princely state during the British Raj and after independence. It was annexed to Rajasthan and made its capital. Like most parts of the state, Jaipur, Rajasthan experiences a desert type of climate with hot summers and cool winters. Dry weather mostly prevails throughout the year. The ideal time for coming to Jaipur is in between the months of August and March. There is a wide range of hotels in Jaipur which offer luxurious and comfortable accommodation. There are luxury hotels, heritage hotels; middle ranges as well budget hotels. Tourists can buy a wide range of handicrafts and local artifacts from the local markets. The restaurants and dining spots serve mouth watering local dishes. Jaipur is a major transport junction and is accessible by varied routes. The city is served by the Jaipur Airport. It operates domestic, international and chartered flights. The city is also a major rail junction and is connected with cities like Delhi, Mumbai, Ahmedabad, Kolkata, Chandigarh, Agra and other places in the country. Road network is well developed.